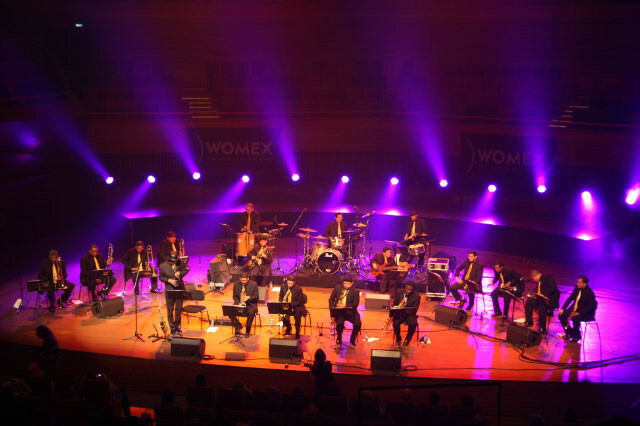 "an amazing 18-piece big band"
SpokFrevo Orquestra are an amazing 18-piece big band from the city of Recife in the North-East of Brazil. They take their name from the city’s very own 100-year old musical genre: frevo. "high energy, driving rhythms and sheer, unalloyed happiness!" Frevo is a style of music played at Carnival in the state of Pernambuco and is absolutely packed to the gunwales with high energy, driving rhythms and sheer, unalloyed happiness! The engine house of frevo is without doubt the snare drum buzzing and clicking away at the forefront of a train filled with florid, pumping brass at every window. It has its own dance as well involving acrobatic leaps and, bizarrely, tiny multi-coloured umbrellas. In the towering cocktail of upfront, upbeat, uplifting Brazilian music styles, frevo is right up there on top (complete with party umbrella). It has to be experienced to be believed and this band, SpokFrevo, are probably the best way to unleash the total musical alegria and rhythmic ecstasy that is frevo. "shockwaves of acoustic energy ... a tidal wave of joy." 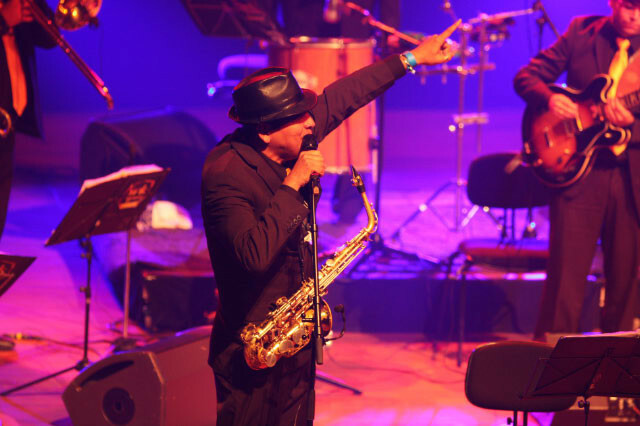 Someone once described the SpokFrevo Orquestra being as if Duke Ellington fell into the carnival at Recife. That definitely sums up the mix of carnavalesque abandonment with the beautiful arrangements of their MD, Inaldo Cavalcante de Albuquerque, aka Spok, However, as tight, as smooth, as sophisticated, as undeniably accomplished as this young band is, the description in no way prepares you for the shockwaves of acoustic energy that roll over you and sweep you away on a tidal wave of joy. I’m sitting here at my computer listening to the music as I write, yet I just cannot sit still at all! I defy anyone to listen to a track such as “Passo de Anjo” and not smile until their face hurts! “Frevo is a unique rhythm, different from all others, cheerful and with a special magic: the one to transmit happiness”. Their first album “Passo de Anjo” was independently released in 2004 to critical acclaim heralding a new era in the history of frevo. The next year their concert at the the TIM Festival was honoured as one of the best 10 concerts in Rio de Janeiro during 2005. Since then they have performed on various occasions with major stars such as Elba Ramalho and Gal Costa and continued to bring the house down each time. 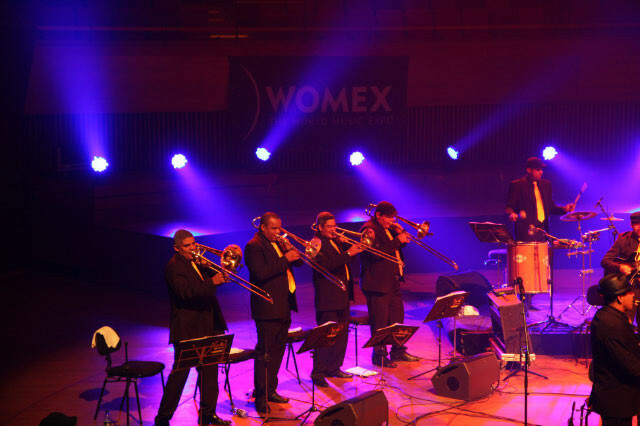 More recently they were featured at Womex 2009 in Copenhagen, Denmark, the world’s biggest World Music Trade Fair and Conference, in front of the cream of the movers and shakers (literally!) of the industry. This landmark album has now been re-masterized, digipacked and re-launched (Biscoito Fino Records) and is available to a wider audience than before. Only this year it was awarded the Prêmio da Música Brasileria 2009 as the Best Group and Best Instrumental CD of the year. High Praise indeed. I’m still waiting for some more information regarding the release and distribution of this CD but hope to inform you as soon as possible. The album comprises 11 tracks mixing new compositions such as “Ela Me Disse” (by Luciano Oliveira) and “Passo de Anjo” by Spok and João Lyra alongside old frevo classics re-recorded with jazzy arrangements such as the song “Nino, O Pernambuquinho”, a work originally created by Maestro Duda in 1972, “Ponta de Lança” by Clovis Pereira and Hermeto Paschoal’s “Nas Quebradas”. The album also includes the tracks “Mexe com Tudo” (Pixinguinha’s classic from the 40s) and “Lágrima de Folião” by Levino Ferreira, as well as “Frevo Sanfonado” by the late great accordionist Sivuca and Glorinha Gadelha. 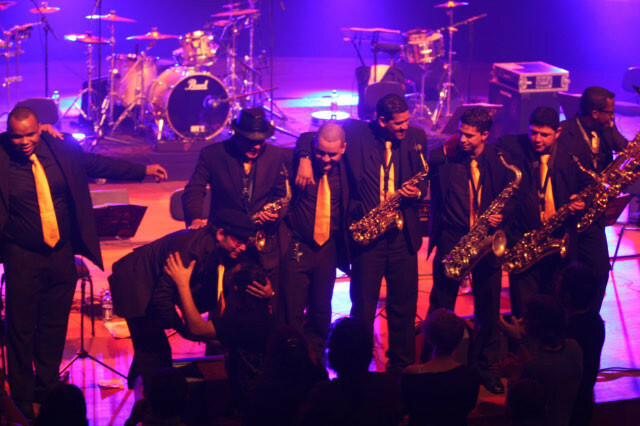 The line up of the live Orquestra has various rows of trumpets, trombones and saxophones back by a rhythm section of guitar, bass and kit drums, and finally a surdo-player (the huge drums usually associated with samba and samba reggae) and a pandeirista (a pandeiro is a heavy tambourine with rhythms played on a taut, highpitched head and with dry sounding jingles). Since SpokeFrevo count having President Sarkozy of France amongst their admirers (having played for him before) we can only hope that they manage to make it across not just the Atlantic Ocean, but across the Channel to come to the UK as well sometime soon. You’ll probably see me in the front row if they do. Highly recommended.